Gold has been the symbol of wealth, elegance and beauty since time immemorial. It glitters and surely attracts attention to people. It is also rare that is why it is valuable. Gold is utilized in a lot of varieties and ways. It can be used as an ornament, and even as jewelry. 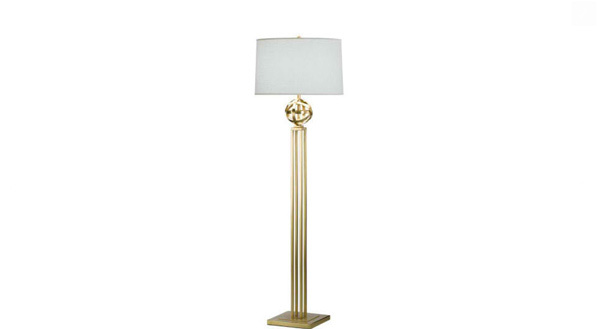 When added to a floor lamp, gold sure gives it much more value and elegance. 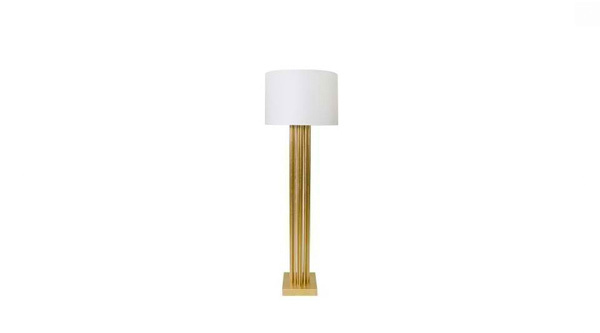 Floor lamps in gold shine brightly especially when illuminated by light. Gold floor lamps also give a sense of sophistication and would never go out of style. 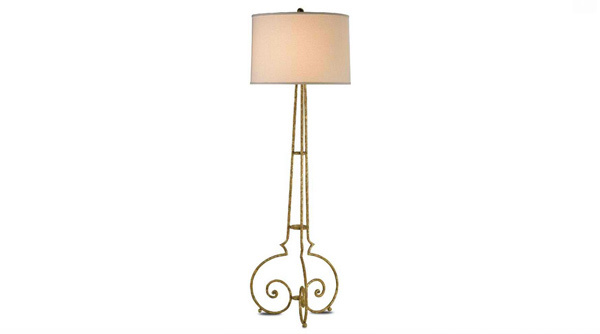 Today, we are featuring 18 Gold Floor Lamp Design Ideas that is sleek as well as beautiful. 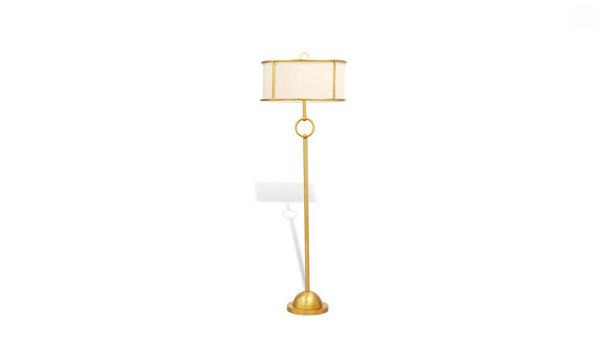 These golden floor lamps are not just simple lamps, but they are elegant and add sophistication. They can also be placed anywhere in a room, and would surely add beauty to it. 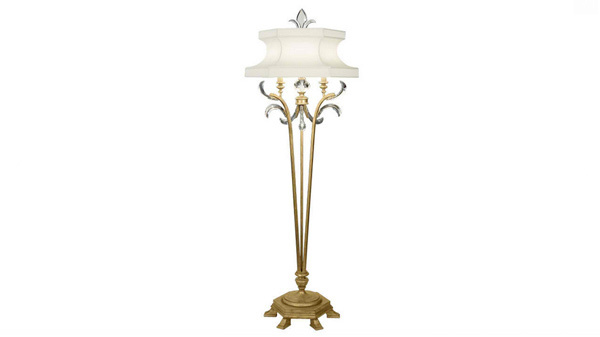 Stunning and elegant floor lamps with gold leaf finish and has a distinctive and balanced design. It would certainly light up a room with its beauty. 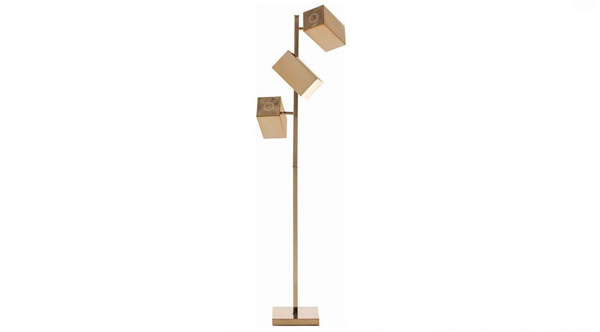 This classic and chick floor lamp is an original collection of Marsh & Clark. It makes a great impact when placed in a room because of its gold finish. Slim but still manages to be beautiful and elegant that would sure catch one’s attention when placed in a room. 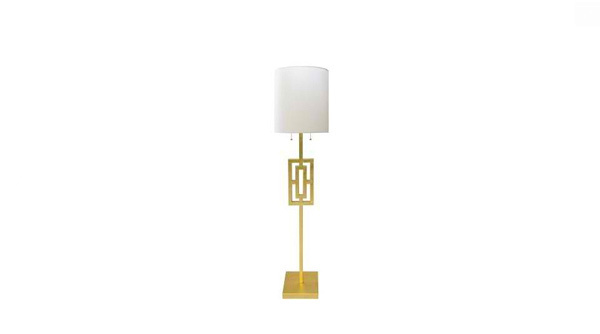 A lovely floor lamp with modern lines and a gold finish. It also has a three way switch and an elegant cream colored shade. 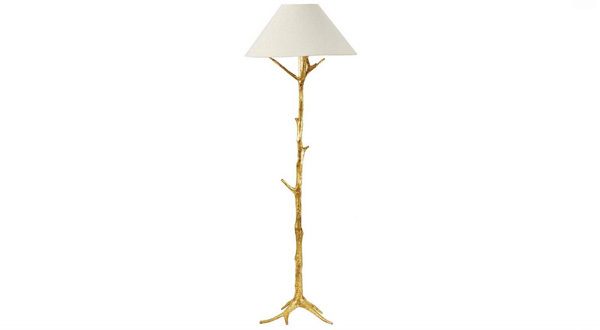 With a body that looks like a twig embellished with gilded gold, this floor lamp is a natural beauty. It has a pull chain that can be used in switching on the light. 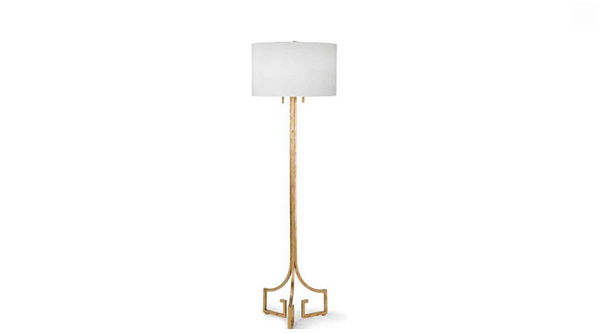 An elegant floor lamp design that has three gold legs spaced apart, perfect for a spacious room. A Barouqe antique floor lamp with a gold leaf finish, that would surely shine when turned on especially because of the dark colored shade combination. 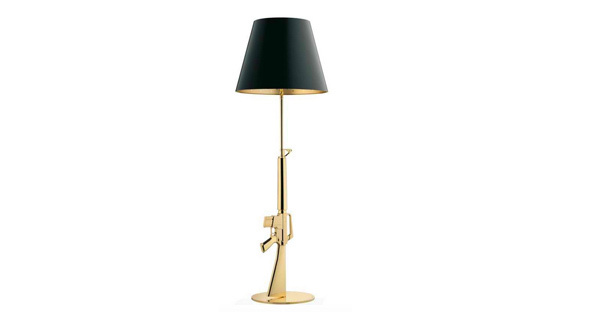 This modern inspired floor lamp has a body of a gun, a unique and sleek design idea. The body is die cast aluminum with 18K gold coating plated finish. A spot-light inspired floor lamp idea that has three rectangular shades that swivels 360 degrees, where you can direct the beam anywhere you want it. It is a perfect addition in a living room or a reading area where the lights can be utilized. A classic and elegant contemporary Greek key design inspiration that is sleek and can be placed in any space of the house that would surely attracts attention. A beautiful Asian inspired floor lamp idea with a bamboo style body in gold finish and perfect illumination for reading. 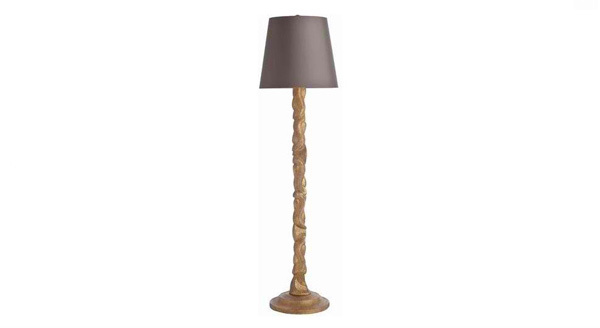 A luxurious and elegant floor lamp that would sure stand out when placed in a room that would be an elegant addition to a library. An elegant traditional floor lamp in gold leaf that has a slim body but a wide base for support. 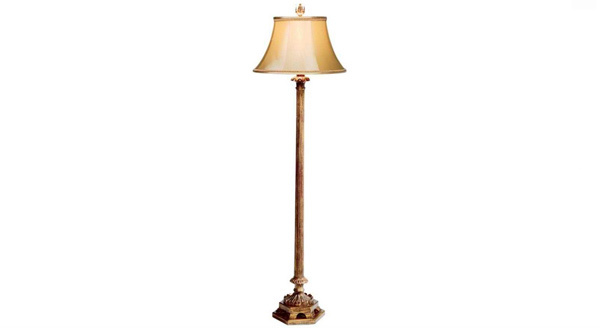 This lamp could be placed even in a small room and would still be able to add beauty and elegance to it. 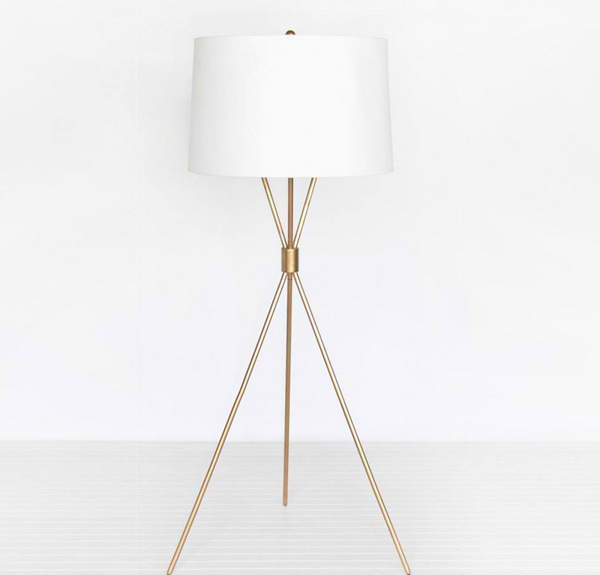 A simple yet stunning floor lamp with gold leaf accent and a rectangle design in the middle, with white linen shade that adds beauty and sophistication to the design. This floor lamp with gold leaf vertical pipes in a circular body placed on a square based is chick as well as modern. Beautiful isn’t it? 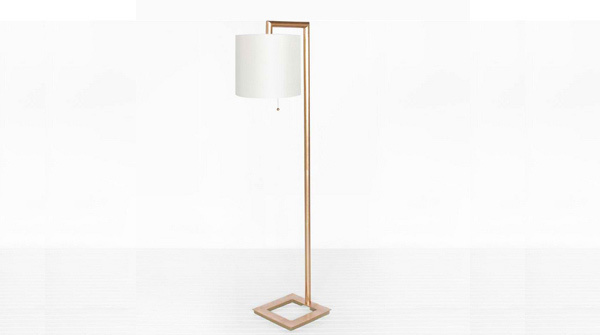 Another sleek and simple floor lamp with a gold leaf finish. There are minimal details on this lamp but it is still attractive and elegant. One look at this floor lamp and you wouldn’t be able to take your eyes off it. It is gleaming with elegance because of its gold leafed body, a silk camel shade with a gold liner and a gold trim. 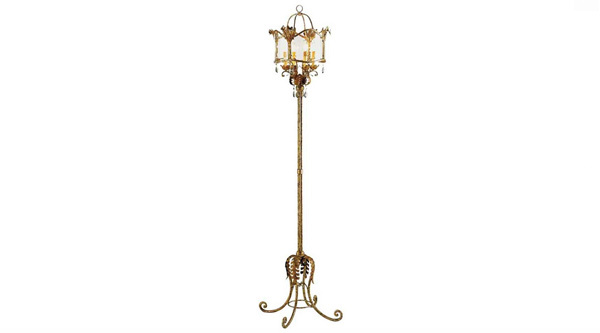 A European country design floor lamp from the 18th and 19th Centuries that is very elegant and beautiful with lots of intricate details. Stunning isn’t it? As you have seen above, gold is a color of elegance. 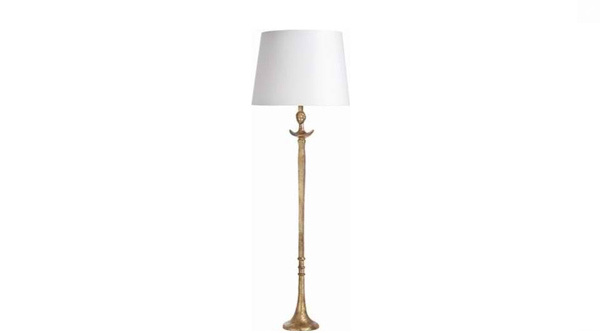 Floor lamps with a gold finish are often paired with a white shade. It looks simple, but is somehow very sophisticated and attractive. Floor lamps illuminate a wide space in a room and can be placed anywhere since it can stand on its own. You can also look into some art deco floor lamp designs.